We are NOT competition to the Veterinary Professionals. We will work hard to establish and maintain valuable relationships with the Clinics and Doctors whom you have entrusted your pets care during their life. We offer 24 hour emergency services to ALL Veterinary Clinics and Professionals at no additional fee. Peterborough Pet Memorial offers an alternative in a hands on step by step environment that affords you the time you need to transition into life without your Pet. We offer ongoing support and guidance with no high pressure sales motivations or obligation. We will help you plan for an expected death or support you if the time arrives suddenly. We are here for you every step of the way. Even after your Pet has been buried or cremated, we offer ongoing support for Pet owners regardless of engaging our services or not. Your pet will be individually transferred personally by me in our specially equipped safe and secure transfer vehicle. Your pet is transported in a gentle and caring manner. Their favorite blanket or even their bed can accompany them. I over-see the entire process to ensure continuity and attention to specific wishes. I will slowly and respectfully walk you through the documentation required to authorize your wishes. I have created a quiet environment where you can take time and think about how this will affect you so that you can make informed decisions that suit you and your timeline. Should you wish to spend time with your beloved family member, I have facilities that can accommodate a small gathering or a more private viewing either prior to or after the cremation process. We can arrange for a ceremony should you wish to pay tribute to your pet through a gathering or service. I would strongly encourage you to have sibling Pets attend our facility to sniff and interact with the deceased Pet. Your Pet siblings to the deceased will grieve too. It is important to consider their feelings. Children are always welcome at Peterborough Pet Memorial and also encouraged to take part in this important process. The transfer to the crematorium is done upon the pet owner authorization and is direct without any stops. The trip itself is about 1/4 of what the alternative destination is currently when families are offered cremation services in Guelph. Each transfer is completed individually and immediately upon authorization. We never employ low temperature refrigeration methods. Phase 1: of our service to the Community is to build relationships and valuable trust with client families. For this reason, we are honored to be working with Thistledown Crematorium in Uxbridge. Colin and Nancy are the owners whom I have become friends with over the past year. During this time, I have learned that we share the same values and a common goal in the after-life care of animals. It is for this reason, that I would only entrust the services of their firm to assist in the cremation process itself. Phase 2: of Peterborough Pet Memorial is to offer on-site cremation services. We want to be sure that our service will be able to maintain the highest of standards and the latest in technology. There is no specific timeline in place for this endeavor other than to move steadily towards achieving this goal as our business and service to pet owner client’s warrant. I personally guarantee the cremation process you select; *Dedicated * Partitioned * Communal, will be followed exactly as you have instructed. We also offer Attended services, where you can observe and be as much a part of the entire technical process as you wish. We value your trust and are completely and totally transparent. Although all Pet Crematoriums in Ontario are reputable and environmentally responsible, our commitment is only to YOU! You NEVER have to feel unsure about the process…, its stages or who is handling your Pet. You will receive a cremation certificate indicating the proof and authenticity of the cremation. We share the same values and common goals as Thistledown. We promise that your instructions will be followed without omission and value the trust you have place in our firm. You will receive the Thistledown cremation package, consisting of, the individual safe return of your pets ashes, an identification tag of your selection, a clay and ink paw print, an official certificate of cremation along with a few other treasures we know you will cherish with your pets memory. Should you select a vessel to house your pets ashes in from Peterborough Pet Memorial, we will ensure the remains are delicately placed and sealed for safe keeping. I am personally here to help with any burial arrangements. I can help you plan and get in touch with various Pet Cemeteries. I can assist you with the consideration and investigation of costs, permits and fee’s. I can temporarily hold your Pets remains until a burial place is either arranged or prepared. I can transfer your Pet to the burial location and assist with the process if necessary. We offer assistance with any services you desire. Our unrushed peaceful environment will afford you the valuable moments you need to make very difficult decisions. Life will slowly return to a whole new “normal” for you. If your Pet was part of a family, nothing will be the same for those who interacted with your Pet. Regardless of your loss, life continues for others. I understand that grief does not work on a schedule or calendar. Each individual will grieve in his or her own way. For many of us, our Pets are a constant in our lives. Getting beyond the loss can be extremely difficult and lonely. Our legacy will be to establish long term relationships with our client families. I will be here for you whenever you need me, regardless of when I last saw you. There is always a candle available to light in memory of that heart that once shined in your earthly life. I will open my door to you anytime you need a safe place to reflect and remember. Pets love purely and unconditionally. Losing them is not easy. The rainbow bridge is a beautiful writing where many find comfort. 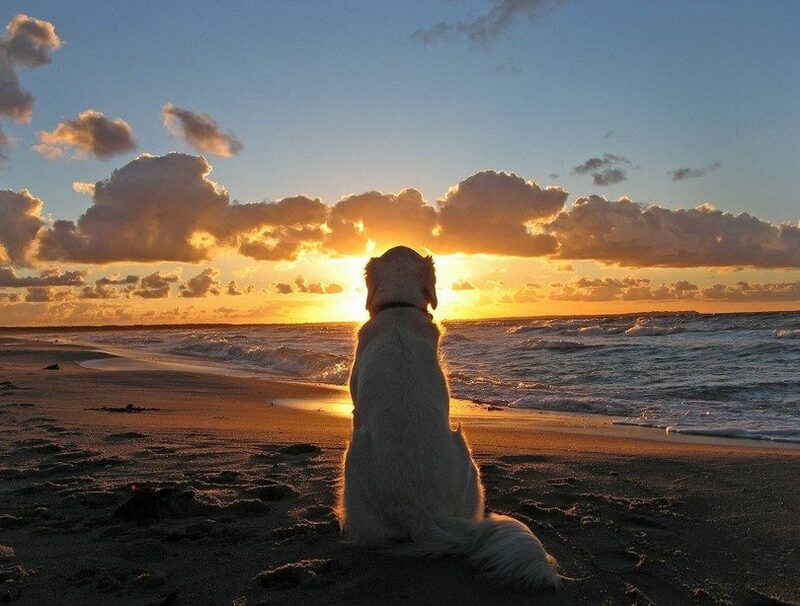 Imagine that beautiful place where your Pet is perfect once again, waiting patiently for that incredibly happy reunion one day. If your reading my website because you have recently suffered a loss, or if circumstances have you planning for the future, please accept my sincere sympathy, knowing there is a place that cares…., a place that understands……..
At Peterborough Pet Memorial, we understand how hard it is to say goodbye to a dear friend. Whether your pet's loss is sudden or after an illness, we promise we will support you and assist you in making cremation arrangements that best suit your needs. We offer many cremation choices and private viewings. We offer a number of cremation products as a way for you to say your goodbye and memorialize your pet forever. All of our pet services are provided with dignity and respect. No freezer storage or plastic shroud - You can trust that your pet will be cared for with the sensitivity that will provide you a lasting sense of peace and comfort. Copyright 2019, Peterborough Pet Memorial. All rights reserved.